With 326 million active users using Twitter each month, there’s no doubt that the way we consume and share information in real-time has forever changed. Love it or hate it, Twitter has become a bustling feed of our collective cultural consciousness. Traditional celebrity endorsements still have a place in modern marketing, but social platforms, with their rapid-fire word of mouth capabilities, have changed the way we interact with each other and with brands. Today’s consumers are listening to social influencers, whose recommendations have the credibility and sway as those from a trusted friend. In fact, nearly 40% of Twitter users say they’ve made a purchase as a direct result of a Tweet from an influencer. Now that Twitter has been supporting inline images for a while, a tried-and-true method of boosting your brand’s engagement is to include compelling, original, and eye-catching visual content. People are naturally drawn to visual content: Tweets with a GIF get 55% more engagement, and Tweets with images receive 150% more retweets. Think simple, impactful, and concise — and don’t clutter your pretty pictures with a lot of words. People are scrolling faster than ever before to try and keep up with their noisy newsfeeds, so make your images stand out with easy to read text. Amplify Brand Messaging with Influencers. Another winning strategy is to include both brand and influencer Tweets to spread your messaging. According to Twitter’s research, when study participants were exposed to a campaign that featured both brand and influencer Tweets, the lift in purchase intent more than doubled to 5.2x. Twitter is extremely well-suited for boosting video views with influencer amplification. Consumers are watching more video than ever across various media channels, and in particular, in-feed mobile platforms like Twitter. In fact, tweets with video attract 10X more engagements than Tweets without video, making Twitter the perfect vehicle for brand storytelling. Influencer campaigns can be structured around sharing brand-owned video for maximum engagement and message retention. 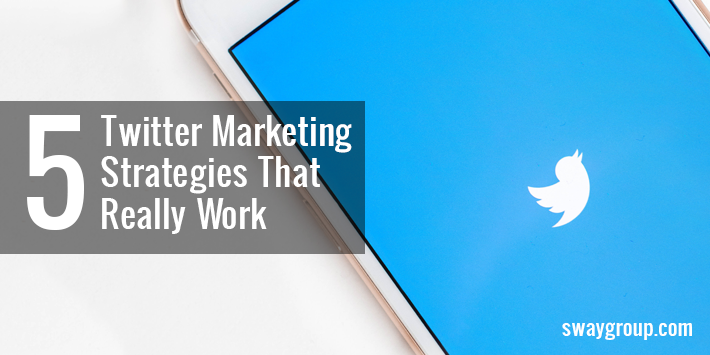 Whether you’re looking to start a conversation, increase content views, drive sales, or build brand loyalty, consider amplifying your marketing with Twitter influencers. One of the easiest ways to encourage consumers to learn more about your brand is to simply ask them to do so. A highly effective method is to ask for a download: Tweets in timelines that explicitly ask people to download accompanied by a link increase URL clicks by an average of 13%. You can also ask audiences to retweet your message, ask for a follow, or ask for a reply. Go easy on this strategy (people will start ignoring you if all you do is make requests!) and be sure to include lots of valuable content among your occasional calls to action. Offer incentives to encourage interaction as you redirect users to your app, website, blog, or event. With Twitter, you have the unique opportunity to humanize your brand and offer insight into who you are and what you offer. Influencers are the perfect partner for creating the kind of content that will resonate with your brand’s audience, and the best way to make your marketing efforts work even harder over time. Interested in learning more about what influencer marketing on Twitter can do for your business? Contact us today!